The gearheads at Duke Dynamics have joined forces with designer Marius Dumitrascu to create a body kit for the wildly popular Ferrari 458. Dubbed the Ferrari 458 Velocita, it offers a different take on the front and rear views, among other alterations. Unfortunately, the Duke Dynamics kit for the 458 does not add additional power, only a bit of an automotive makeover. 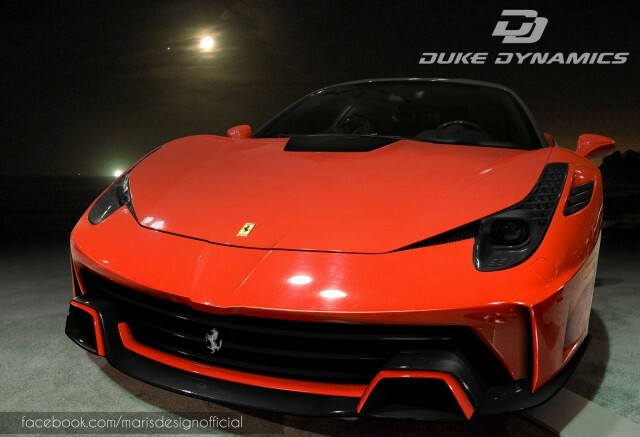 Do you like the Ferrari 458 Velocita body kit by Duke Dynamics?